called up, after which the original settings are restored. file whose contents have been revised at least once. 3 Make the desired changes. For details, see “To save setup files to a tape” (page 111). 1 Set the SETUP switch to FILE. 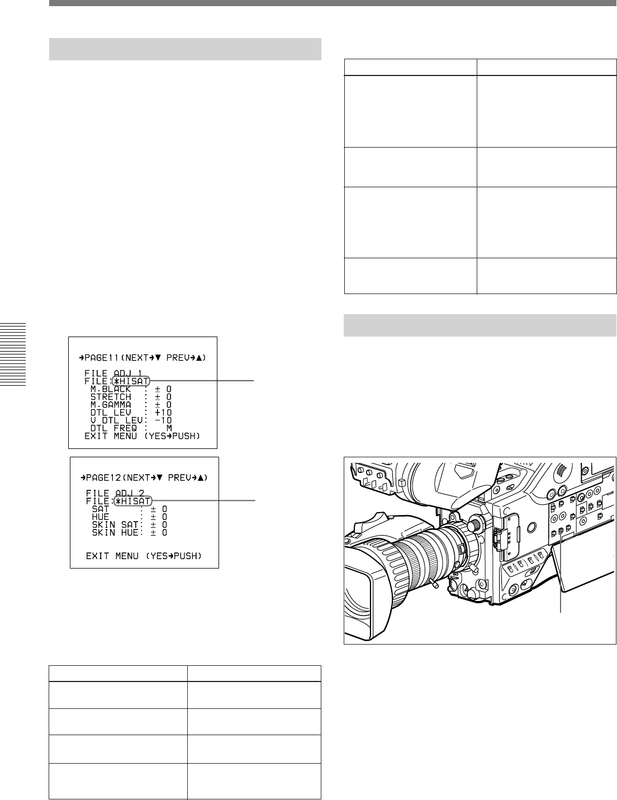 “Viewfinder Advanced Menu” (pages 98 to 106). specified area of the image.